When on a Ketogenic diet, it can be a challenge to get your fat macro high enough. This is where Keto Peppermint Fat Bombs (or any fat bomb) comes into play. This was the first fat bomb recipe that I created and it remains a favorite that we come back to time and time again. Tip: While making them, make sure you gently heat the ingredients. Just warm enough (around 80 degrees) to melt the coconut oil. If your ingredients get too hot, then the layers won't work well. Enjoy these Keto Peppermint Fat Bombs as a snack or with a cup of coffee.Be careful not to heat the mixture too much. Coconut oil melts at 76 degrees F-- you only need to heat the mixture enough to get the coconut oil to melt. If you heat it too much, the layers will not set up properly. 1 tbsp Monk Fruit Sweetener (12 g) -or- Bocha Sweet! First, we’ll make the bottom (cream colored) layer of the Peppermint Fat Bombs. In a small crockpot (or on the stove on VERY low heat) melt the coconut oil and combine with the Monk Fruit Sweetener, stevia, vanilla and 6 drops of Young Living Peppermint Vitality Essential Oil. Reserve the Cacao Powder and remaining peppermint oil for later in the process. While this melts, prepare a mold that you’ll use for the peppermint fat bombs. You can use a silicone mold like the one that’s pictured or use a mini-cupcake pan. If you use a mini-cupcake pan, I recommend using mini cupcake liners made from parchment paper so that the fat bombs come out easily. You won’t need liners if you use a silicone mold. Once the bottom layer mixture is melted, use a tablespoon to fill the molds about ¾ of the way full. You should have some remaining mixture left in the bottom of your crockpot/pan that we’ll use to make the dark chocolate top. Set your half completed peppermint fat bombs in the refrigerator and let them completely set up. This can take up to an hour. You can also use the freezer. The freezer takes about 20 minutes for the fat bombs to set up. In the meantime, we’ll make the top layer of the peppermint fat bombs in your crockpot/pan. Simply mix in the cacao powder and 4 more drops of Young Living Peppermint Vitality Essential oil and cook on low for a few minutes until completely combined. Keep this mixture warm until your bottom layer is set. Once the bottom layer is set you can proceed by taking the molds out of the fridge and topping each fat bomb with chocolate. Once you’ve finished, set the fat bombs back in the fridge to set up. This takes about an hour. You can use the freezer here as well. It takes about 10-15 minutes in the freezer for the fat bombs to set up. Once they are completely set-up, remove your finished peppermint fat bombs from the molds and store them in an air-tight container in the fridge. Note that Coconut oil becomes a liquid at 72 degrees so we don’t want to store these on the counter unless it’s the middle of winter and your house is quite cool. Note: You can substitute Peppermint Extract for the Young Living Peppermint Vitality Essential Oil. Flavor your peppermint fat bombs "to taste". Start with a half tsp of peppermint extract and taste the mixture before filling. You want the peppermint flavor to be fairly strong but not overpowering. There are a few things you should know before making fat bombs. First, choose your ingredients wisely. High quality ingredients yield delicious results. You can find specific ingredient recommendations in the next section. Second, heat gently. This is especially important for a layered fat bomb. Coconut oil melts at a relatively low temperature (76 degrees F). I like to use a mini-crockpot to make these because it provides a gentle heat. If you use your stovetop-- heat your pan and then turn off the heat and stir until the coconut oil melts. Finally, measure as you mold. If you are keeping close track of your macros make sure that you measure the number of servings you end up with. 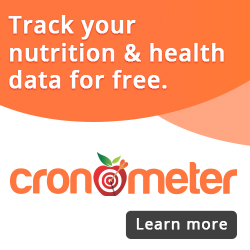 This will help you more accurately track your food. Check out this Maple Fat Bomb recipe as well! there is no recipe for the coating with the cocoa. Hi there! Thanks for commenting. The recipe for the cocoa topping is within the recipe. You actually just use part of the main recipe 🙂 Take a peek at the video and you’ll see what I mean.